Shinji Ono(小野 伸二,Ono Shinji, born 27 September 1979)  is a Japanese footballer who plays as a midfielder for J1 League club Consadole Sapporo. Known as Tensai   (天才, Japanese for Genius ), Ono is one of the biggest stars in Asian football, known for his vision, technique and superb passing. Although his primary position is attacking midfielder, he can play anywhere in the midfield, including defensive midfield and either wing. A midfielder is an association football position. Midfielders are generally positioned on the field between their team's defenders and forwards. 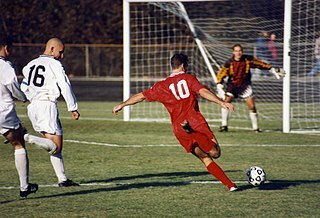 Some midfielders play a disciplined defensive role, breaking up attacks, and are otherwise known as defensive midfielders. Others blur the boundaries, being more mobile and efficient in passing: they are commonly referred to as deep-lying midfielders, play-makers, box-to-box, or holding midfielders. 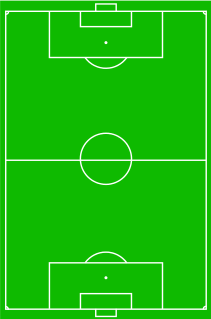 The number of midfielders on a team and their assigned roles depends on the team's formation; the collective group of these players on the field is sometimes referred to as the midfield. Shizuoka Prefecture is a prefecture of Japan located in the Chūbu region of Honshu. The capital is the city of Shizuoka, while Hamamatsu is the largest city by population. Urawa Red Diamonds, colloquially Urawa Reds, are a professional association football club playing in Japan's football league, J1 League. The 1998 FIFA World Cup was the 16th FIFA World Cup, the world championship for men's national association football teams. It was held in France from 10 June to 12 July 1998. The country was chosen as the host nation by FIFA for the second time in the history of the tournament, defeating Morocco in the bidding process. It was the second time that France staged the competition and the ninth time that it was held in Europe. The 2001 FIFA Confederations Cup was the fifth FIFA Confederations Cup and the third to be organised by FIFA. It was also the first in which the original hosts, Saudi Arabia, did not participate. The tournament was played from 30 May to 10 June 2001, and co-hosted by South Korea and Japan, who were also hosts for the 2002 FIFA World Cup finals. It was won by France, beating hosts Japan 1–0, with a goal from Patrick Vieira. The Eredivisie is the highest echelon of professional football in the Netherlands. The league was founded in 1956, two years after the start of professional football in the Netherlands. At the 2018–2019 season it was ranked the 11th best league in Europe by UEFA. The Bundesliga is a professional association football league in Germany and the football league with the highest average stadium attendance worldwide. At the top of the German football league system, the Bundesliga is Germany's primary football competition. The Bundesliga comprises 18 teams and operates on a system of promotion and relegation with the 2. Bundesliga. Seasons run from August to May. Most games are played on Saturdays and Sundays, with a few games played on weekdays. All of the Bundesliga clubs qualify for the DFB-Pokal. The winner of the Bundesliga qualifies for the DFL-Supercup. Verein für Leibesübungen Bochum 1848 Fußballgemeinschaft, commonly referred to as simply VfL Bochum[faʊ̯ ʔɛf ˈʔɛl ˈboːxʊm], is a German association football club based in the city of Bochum, North Rhine-Westphalia. Sportverein Werder Bremen von 1899 e. V., commonly known as Werder Bremen, is a German sports club located in Bremen in the northwest German federal state Free Hanseatic City of Bremen. The club was founded in 1899 and has grown to 40,400 members. It is best known for its association football team. Shinji Ono playing for Shimizu S-Pulse in 2012. Shimizu S-Pulse is a professional Japanese football club. Located in Shimizu-ku, Shizuoka, Shizuoka Prefecture, S-Pulse currently competes in the J1 League (J1). Formed as recently as 1991, S-Pulse are one of the youngest professional teams in Japan. The club was formed at the advent of the J. League in 1991, and originally consisted of players drawn exclusively from Shizuoka Prefecture; a unique distinction at the time. On 28 September 2012, it was announced that Shinji Ono had signed with new A-League club Western Sydney Wanderers on a two-year deal as the club's marquee player. The Wanderers were offered former German international Michael Ballack  but preferred to sign Ono. He made his debut for the Wanderers on 6 October, in a scoreless draw against Central Coast Mariners, in the first game of the season. 1Includes UEFA Champions League preliminary rounds, UEFA Super Cup, Japanese Super Cup, FIFA Club World Cup and A-League Finals Series. Gamba Osaka is a Japanese professional association football club, currently playing in the J1 League. The team's name Gamba comes from the Italian word "gamba" meaning "leg" and the Japanese ganbaru (頑張る), meaning "to do your best" or "to stand firm". Located in Suita, Osaka, the team's home stadium is Suita City Football Stadium. Naoya Kikuchi is a professional Japanese footballer currently playing for Avispa Fukuoka. Yuki Abe is a Japanese footballer who has played for the Japanese national team and plays for Urawa Red Diamonds as a midfielder. Giovanni Christiaan van BronckhorstOON, also known by his nickname Gio, is a retired Dutch footballer and the current manager of Feyenoord. Formerly a midfielder, he moved to left-back later in his career. Lambertus "Bert" van Marwijk is a Dutch football manager. As a footballer, he played for the Go Ahead Eagles, AZ, MVV and Fortuna Sittard amongst other clubs, and represented the Netherlands once. Romeo Erwin Marius Castelen is a Dutch footballer who plays as a right winger. Tetsuji Hashiratani is a former Japanese football player and manager. He played for Japan national team. His elder brother Koichi Hashiratani is also a former footballer. Nobuhisa Yamada is a former Japanese football player. He played for Japan national team. Holger Osieck is a German football manager who last managed the Australian national association football team. Prior to the Australian role, he most recently managed J. League club Urawa Red Diamonds, where he won the 2007 AFC Champions League. He served as an assistant coach of the West Germany national football team when they won the 1990 FIFA World Cup. He also led Canada in winning the 2000 CONCACAF Gold Cup. Makoto Hasebe is a Japanese footballer. He is a defensive midfielder who plays for Eintracht Frankfurt. He played for Japan national football team for which he served as captain. Keita Suzuki is a former Japanese football player. He played for the Japan national team. Georginio Gregion Emile Wijnaldum is a Dutch professional footballer who plays as a midfielder for Premier League club Liverpool and the Netherlands national team. Hajime Hosogai is a Japanese footballer. He is a flexible player, able to play in his natural role as defender, defensive midfielder, and plays for Buriram United. Shinji Okazaki is a Japanese footballer who plays for Leicester City and the Japan national team as a forward or attacking midfielder. Shinji Kagawa is a Japanese professional footballer who plays as a midfielder for Turkish club Beşiktaş, on loan from German club Borussia Dortmund, and the Japan national team. Kagawa began his professional career in his homeland with Cerezo Osaka before joining Borussia Dortmund in 2010. After two years with Dortmund, Kagawa signed for Manchester United on a four-year contract. Two years later, he returned to Dortmund. He is known for his "vision, technique, movement and deft passing". Kagawa holds the records for most appearances and goals by a Japanese player in UEFA club competitions. Shinji Otsuka is a former Japanese football player. 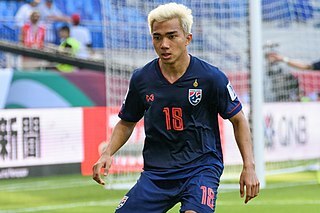 Chanathip Songkrasin, simply known as Jay is a Thai professional footballer who plays for Hokkaido Consadole Sapporo. He also represents the Thailand national team. Andrew Nabbout is an Australian football (soccer) player who plays as a winger for the Urawa Red Diamonds and the Australian national team. The 2014–15 Western Sydney Wanderers FC season was the club's third season since its establishment in 2012. The club participated in the A-League for the third time, the FFA Cup for the first time, the AFC Champions League for the second time and the FIFA Club World Cup for the first time. 1 2 "ONO Shinji". 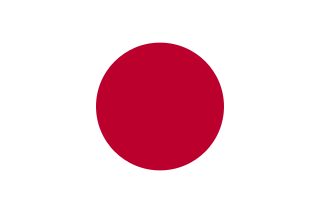 Japan National Football Team Database. Archived from the original on 22 September 2013. Retrieved 7 October 2012. ↑ "Shinji Ono". worldfootball.net. Retrieved 15 October 2012. ↑ Monteverde, Marco (26 October 2012). "Shinji Ono laughs off comparisons with Alessandro Del Piero and Emile Heskey". news.com.au. Retrieved 23 April 2013. ↑ Davutovic, David (12 April 2013). "Western Sydney Wanderers on verge of a fairytale title win in first season". adelaidenow. Retrieved 23 April 2013. ↑ Hassett, Sebastian (22 September 2012). "Japan's genius ponders taking wander out west". smh.com.au. Retrieved 15 October 2012. ↑ "About Shinji Captain". Ono Shinji Official Web Site. Archived from the original on 25 November 2012. Retrieved 15 October 2012. ↑ "Shinji Ono". the-rising-sun-news.com. Retrieved 15 October 2012. ↑ "Wes Sneijder: analysis of world class player". International Football News - World Cup Blog. 31 October 2010. Archived from the original on 14 July 2012. Retrieved 18 February 2013. ↑ "Ono back to Japan from Feyenoord". ESPN Soccernet. 15 December 2005. Retrieved 15 October 2012. ↑ "Exklusiv: Wechsel von Shinji Ono hängt vom Nachfolger ab" (in German). goal.com. 8 January 2010. Retrieved 15 October 2012. ↑ "Official press release" (in Japanese). s-pulse.co.jp. Archived from the original on 12 January 2010. ↑ "Shinji Ono im exklusiven Abschiedsinterview: Wegen der Familie zurück nach Japan" (in German). goal.com. 9 January 2010. Retrieved 15 October 2012. ↑ "Western Sydney Wanderers chairman Lyall Gorman says club is considering options with Michael Ballack". Fox Sports Australia. Retrieved 17 June 2016. ↑ "Wanderers sign Shinji Ono". footballaustralia.com.au. 28 September 2012. Archived from the original on 16 October 2012. Retrieved 15 October 2012. ↑ "Ono off the mark as Wanderers beat Roar". Local Today. Retrieved 2 January 2013. ↑ "Ono A-League double lifts Wanderers". smh.com.au. Retrieved 2 January 2013. 1 2 "Shinji Ono to return to Japan at season's end". Football Federation Australia. 16 January 2014. Archived from the original on 4 February 2014. Retrieved 6 June 2014. ↑ Bossi, Dominic (4 May 2014). "Brisbane Roar's extra-time victory breaks Western Sydney Wanderers' hearts". smh.com.au. Retrieved 9 May 2014. ↑ "Shinji ONO". FIFA.com. Retrieved 15 October 2012.